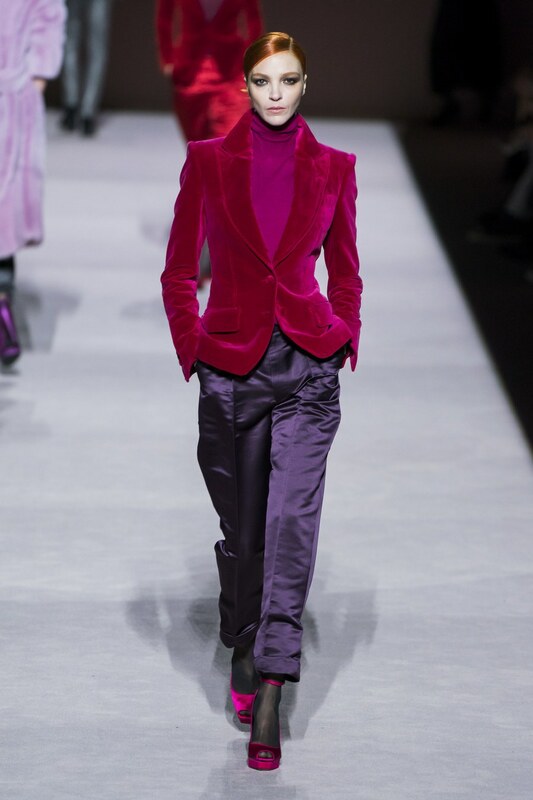 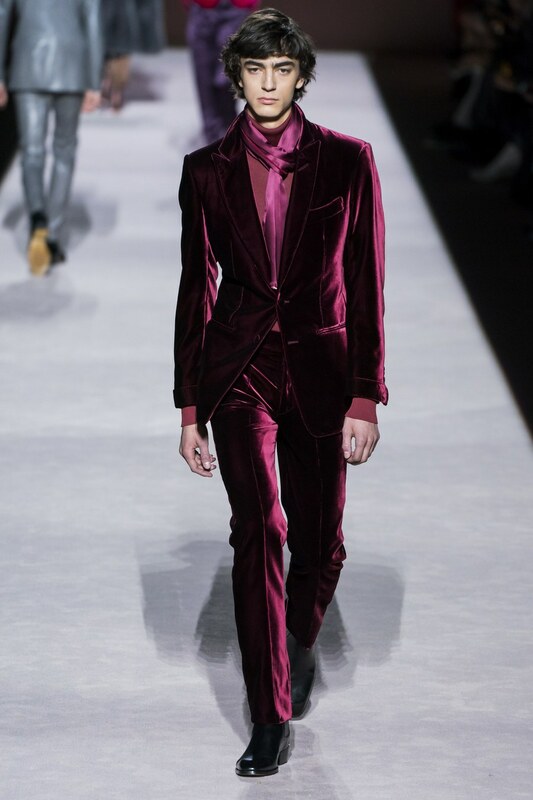 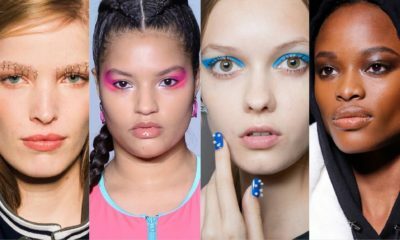 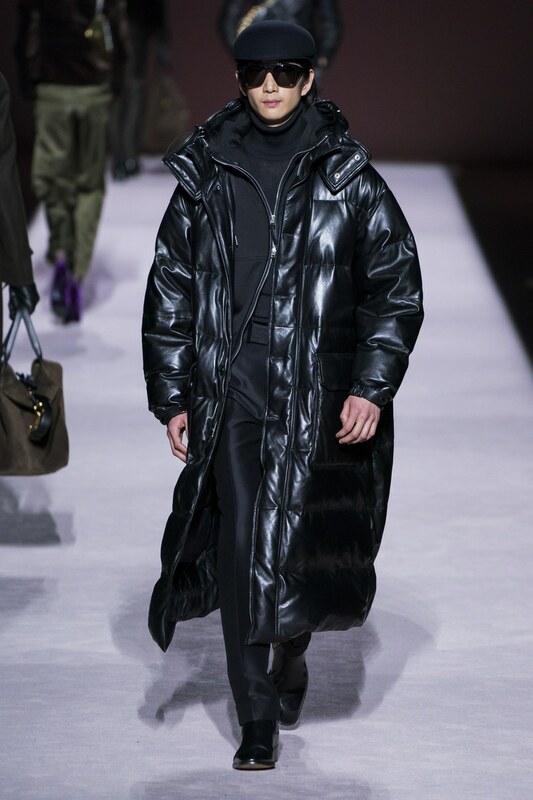 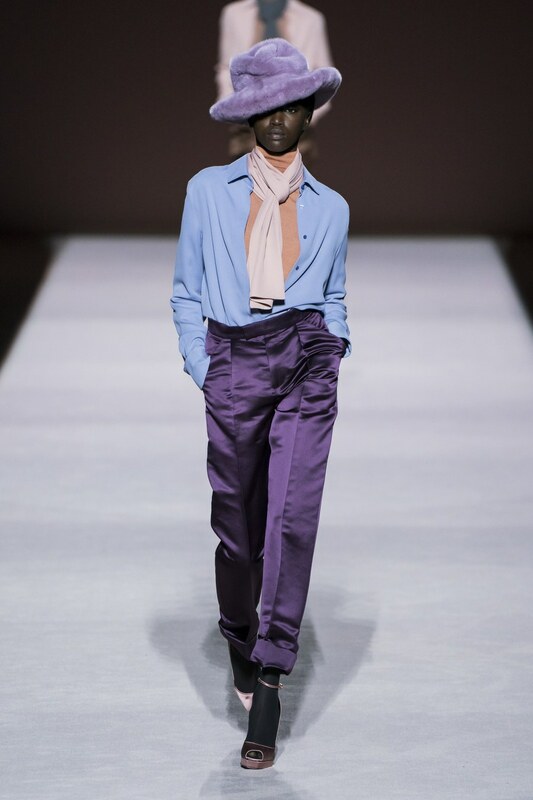 The Tom Ford Fall 2019 Collection at the ongoing New York Fashion Week tapped into the industry’s current obsession with nostalgia as he went back into the ’90s. 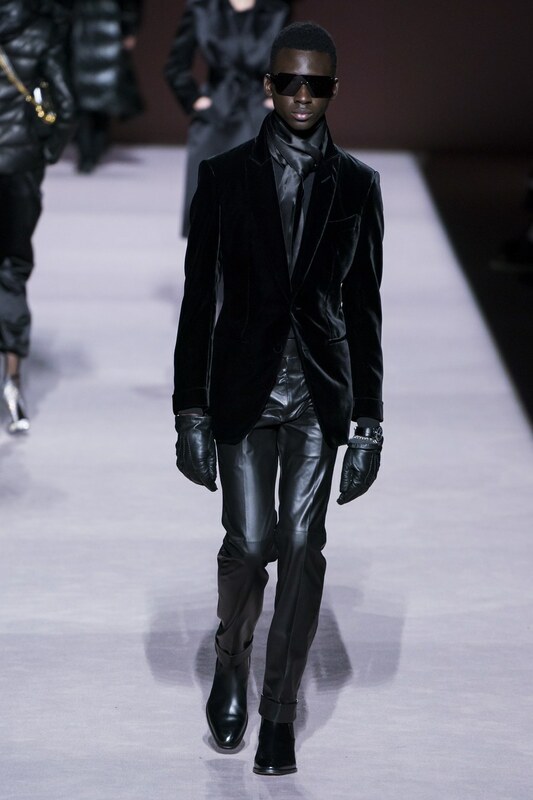 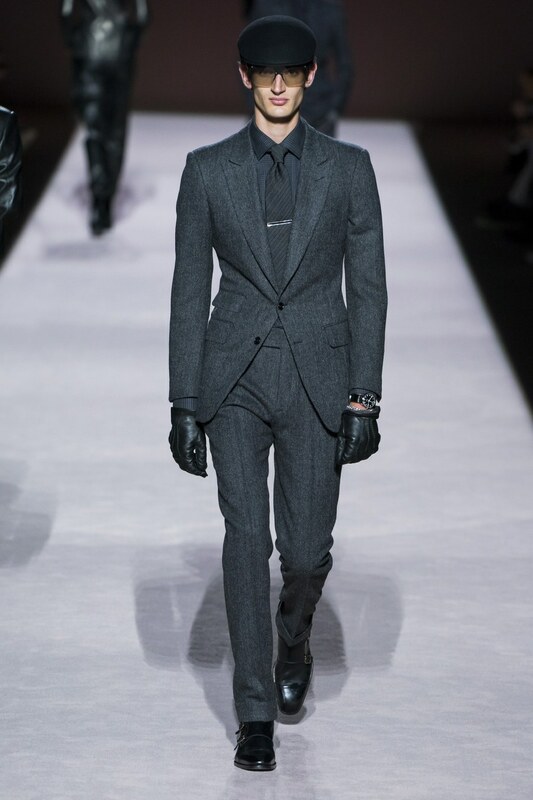 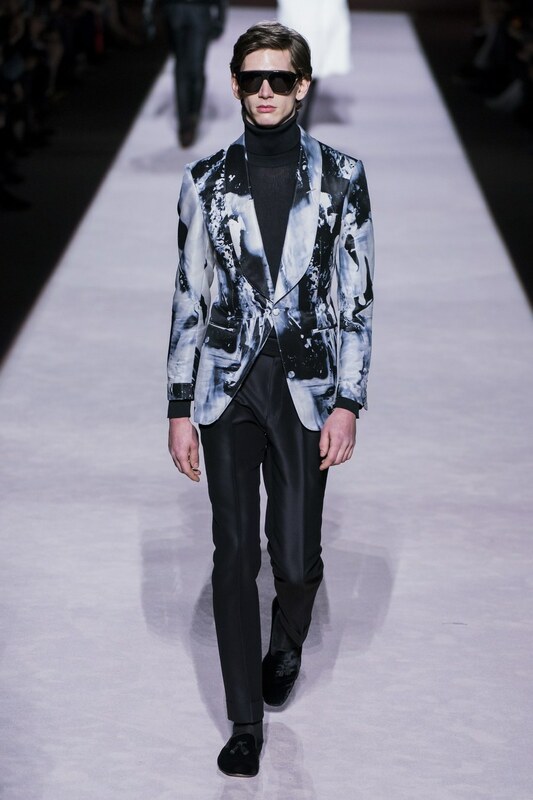 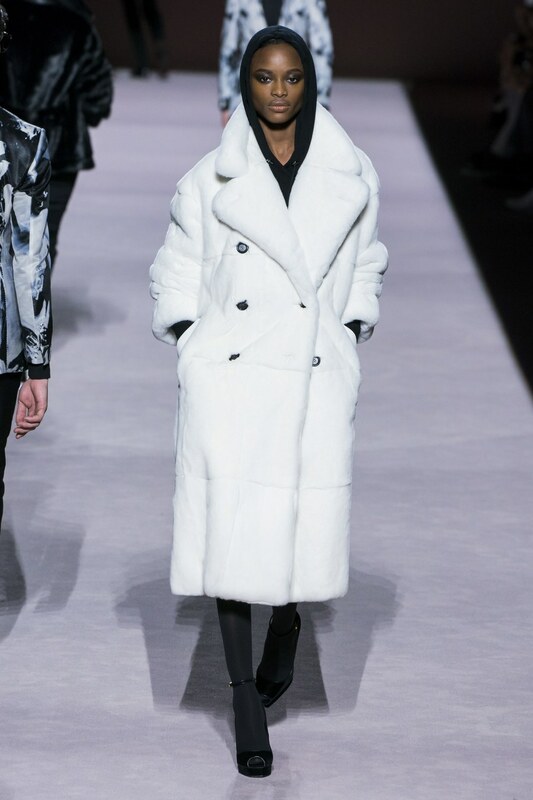 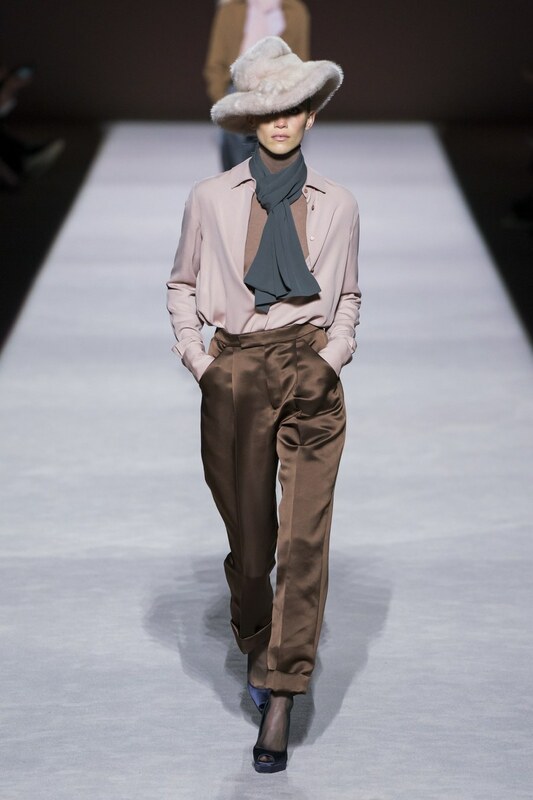 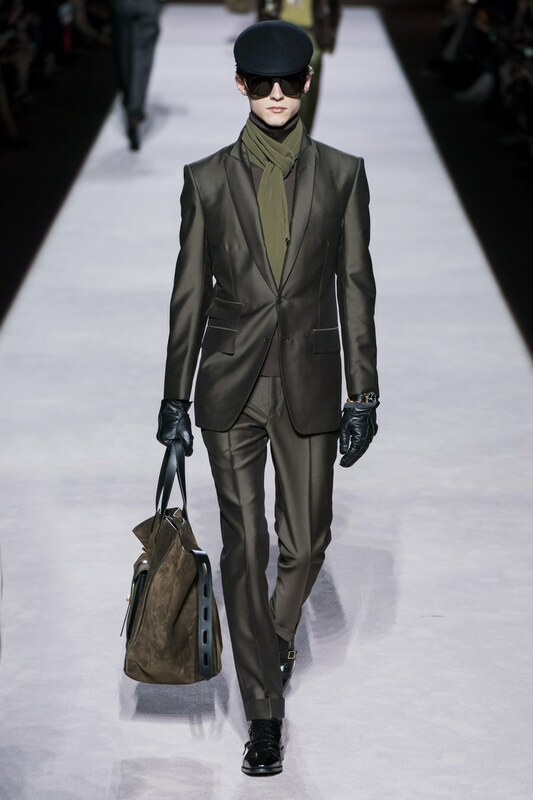 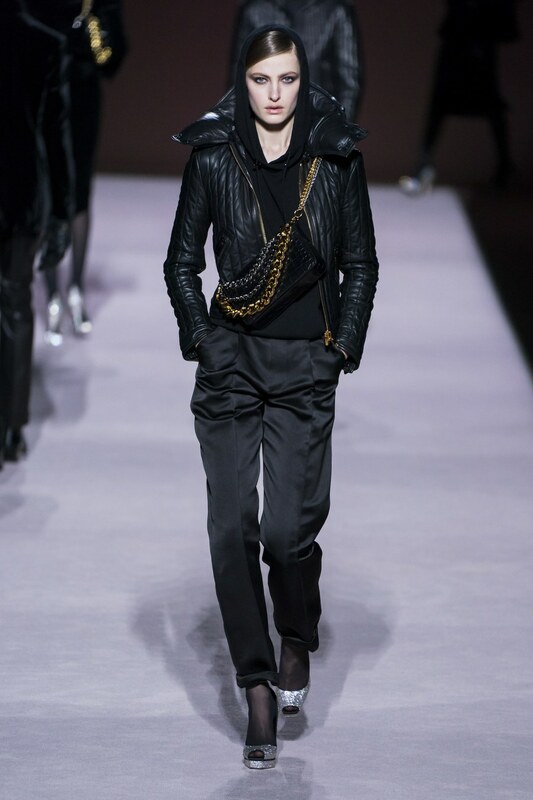 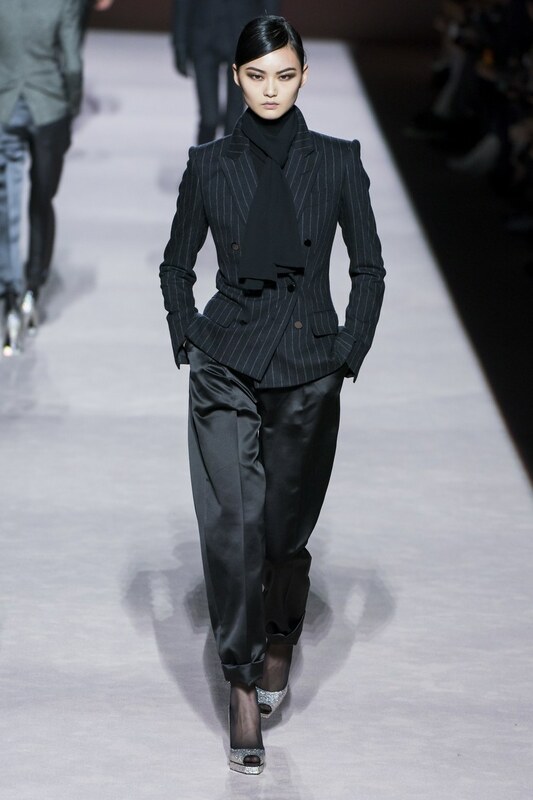 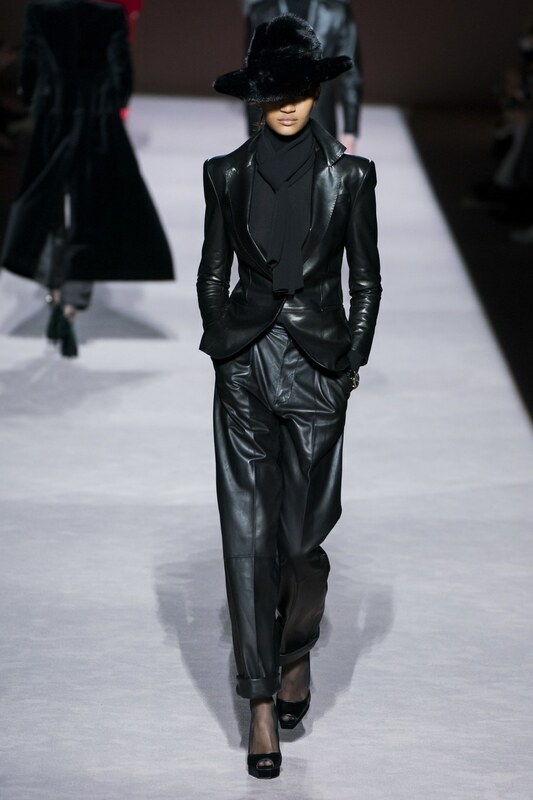 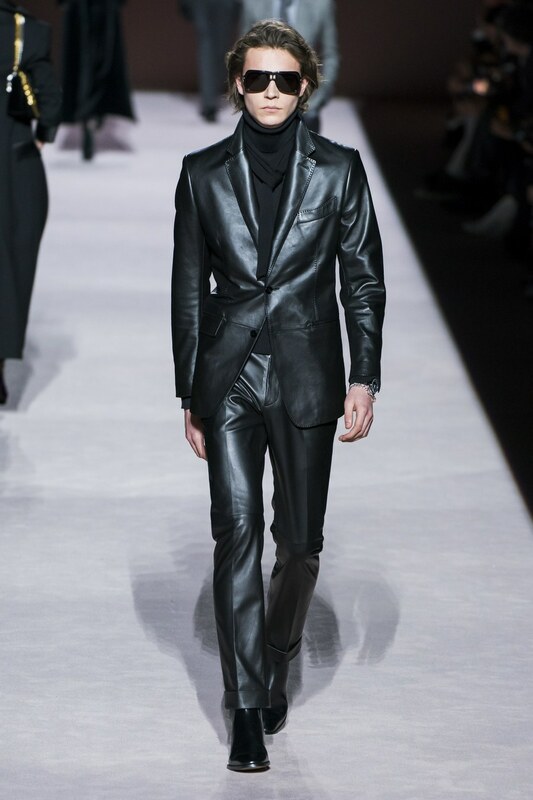 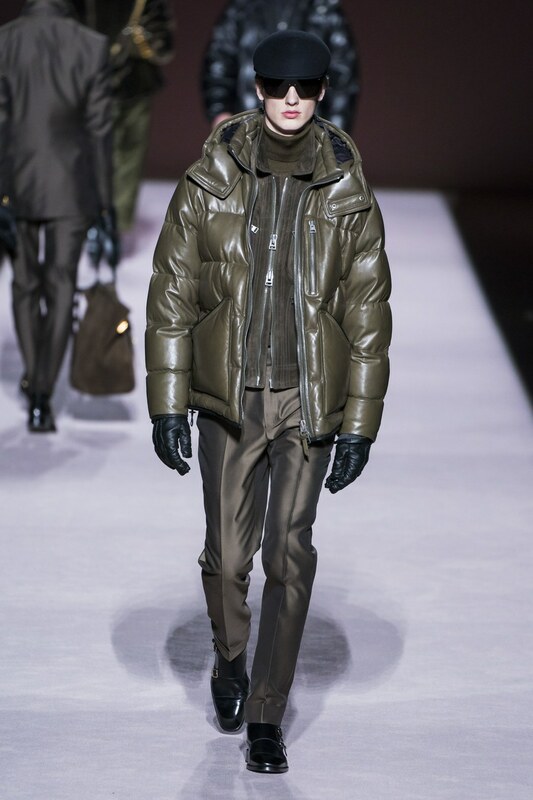 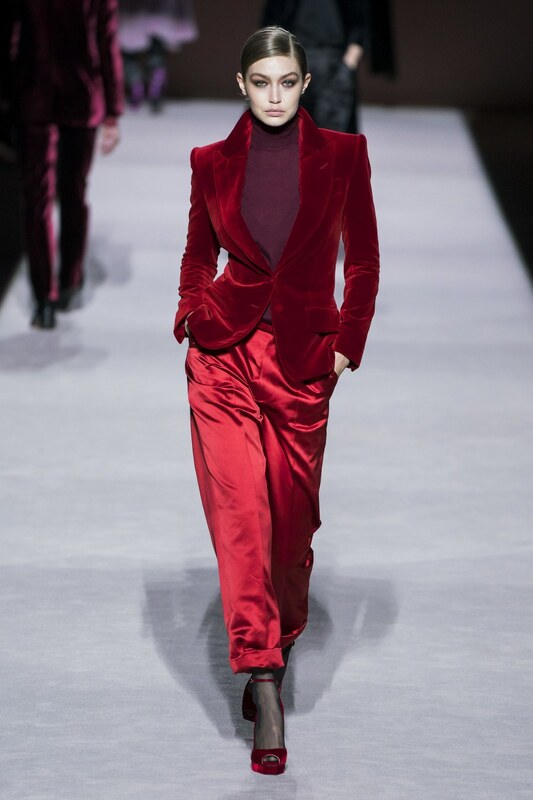 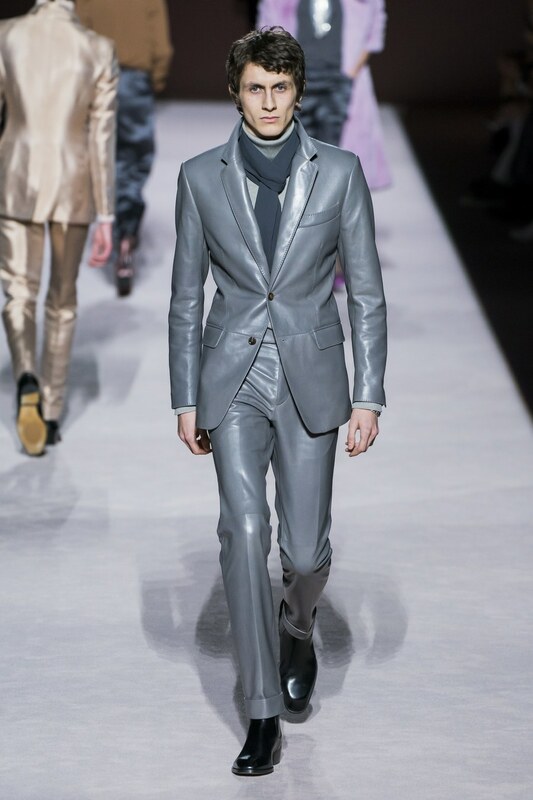 Tom Ford opted for simplicity and a calm aura with looks that were polished, elegant and sensual. 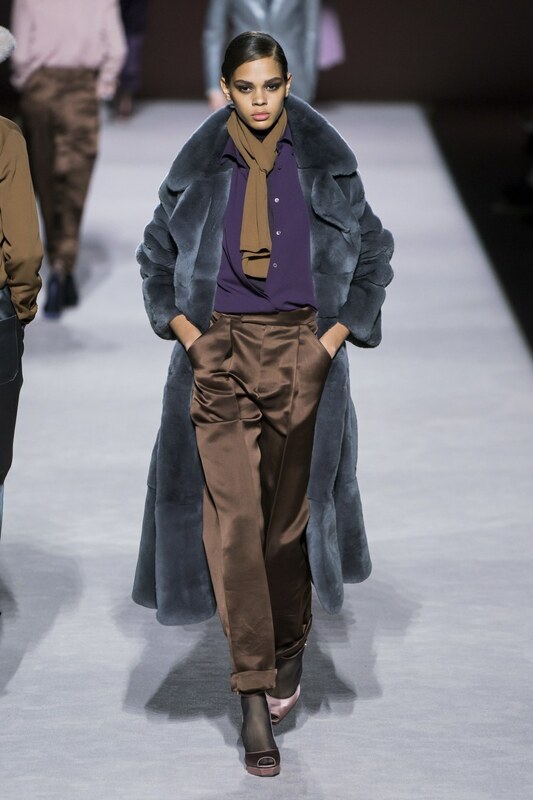 The collection came in jewel tones of soft pinks, blues, greys, camel, deep burgundy, white, blacks, green and more. 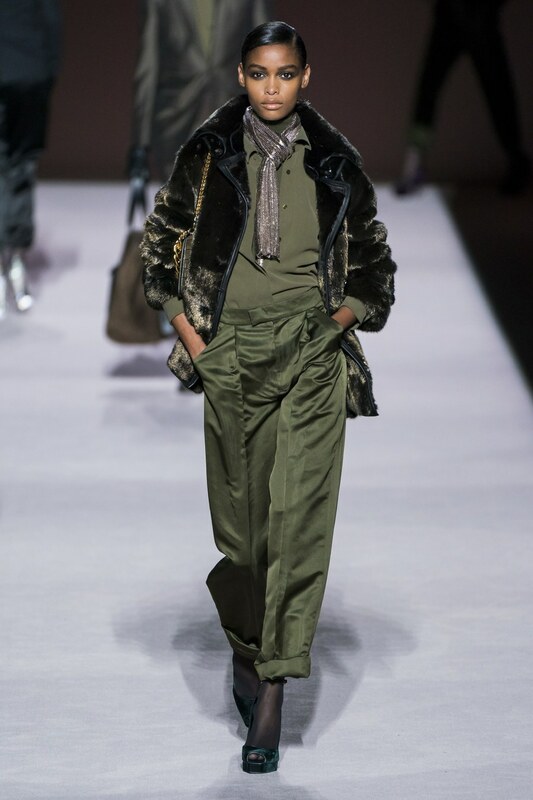 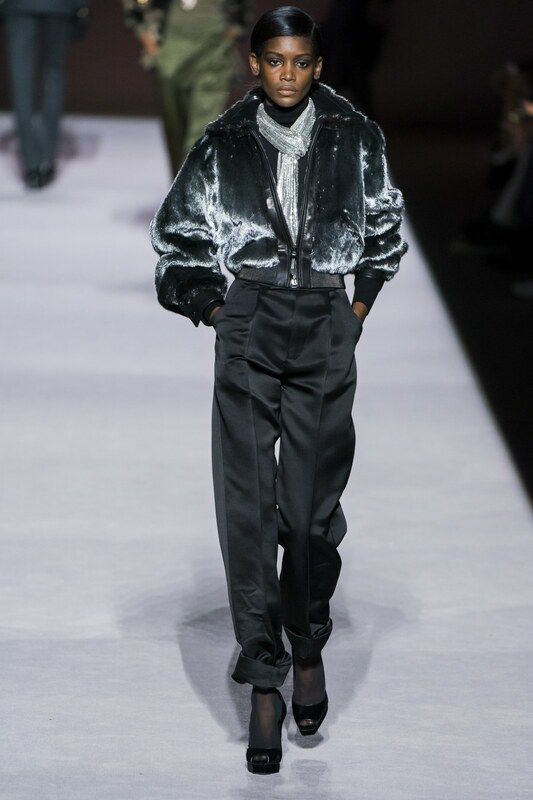 Featuring in the collection were fur fedoras, sumptuous fur coats, bomber jackets, simple, elegant evening gowns that featured caped backs, cut-outs and heavy chain hardware.